What is the HRA and who is eligible? How much money needs to be spent and what reciepts need to be submitted? What is the status of negotiations? The Communications Workers of America (CWA) held this event to share information with members about the Century Link/Qwest retiree healthcare. Judy Fries, President RMC, wanted to let members know how to get reimbursed for their healthcare. Laura Reynolds, RMC liaison talked about why it is important to be a lifetime member of the CWA Retirees and what the benefits of joining this entails for them. The Health Reimbursement Account was discussed for callers that were Medicare eligible. Brenda Roberts, VP District 7 talked about the retiree chapters in District 7 and what the upcoming year holds for those in CWA and also how CWA supports Bernie Sanders for President. 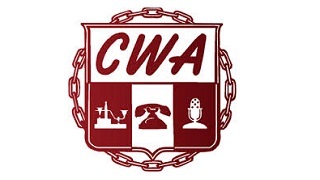 Retiree health care is a priority for CWA to continue as is. Retirees will not be forgotten at this table during bargaining. Also on the call was Ryan Weeks, Healthcare Benefit coordinator, Jay Boyle and Susie McAllister, Qwest Bargaining agents.